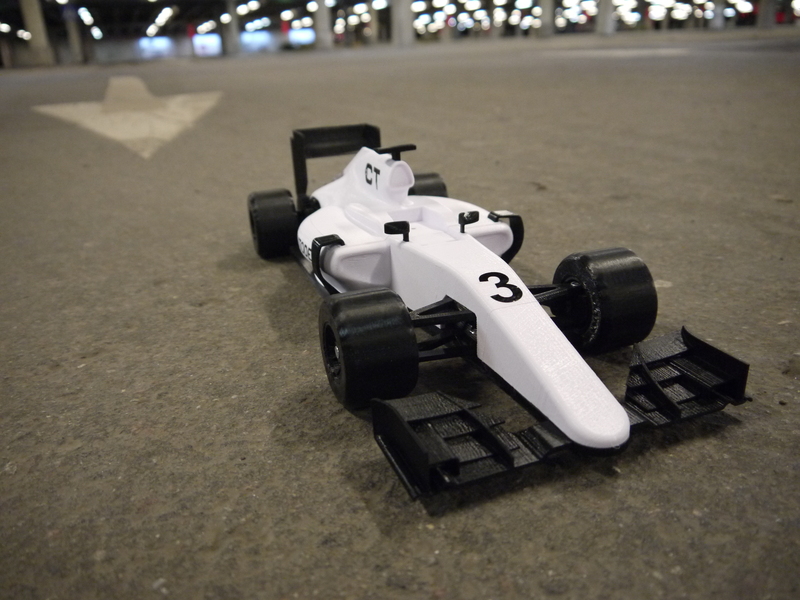 Right now the last Formula 1 GP of the 2015 season is about to happen in Abu Dhabi and what better time to release files fo the 3D Printed OpenRC F1 car than now? 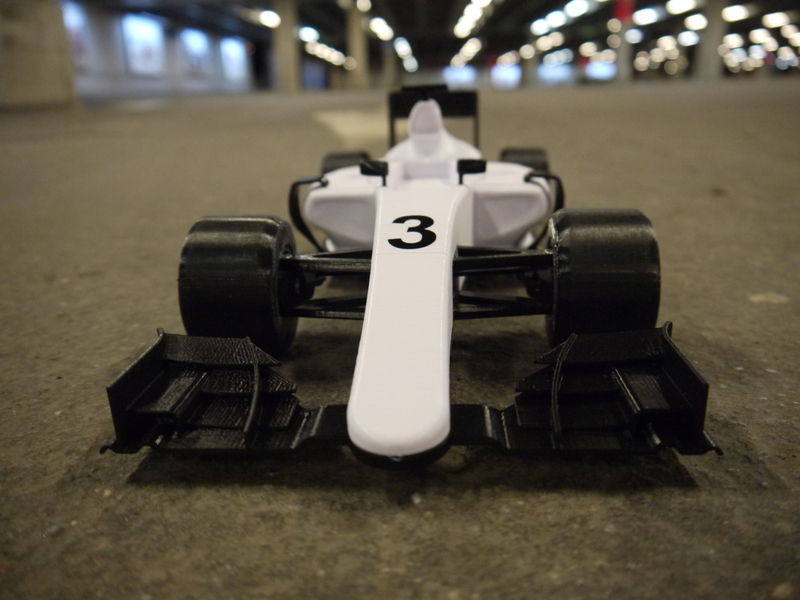 It doesn´t matter if you want a 3D Pritned RC project to play around with or just a cool project to show of you 3D Printing skills with, it´s just as fun! The goals i set up for myself before starting this project are based on things i have learned from earlier projects. Less complex materials, this time all parts are printed in PLA except tires which are printed in NinjaFlex. No parts with a high level of tolerance or precision needed. Most printers should be able to manage printing all parts. Less sourced parts. Except electronics all that´s needed are screws, nuts and bearings. Parts need to fit as many buildplates as possible. Keep support structures to a minimum. I have also introduced a “Servo Saver” this time, it still needs a little tuning but i´m sure we will get there! One thing that made things extra interesting this time around was the change of CAD system to Fusion 360 about 5 weeks before launch. Long nights, alot of coffee and a understanding family made it happen. Fusion 360 introduced me to some new tools, such as T-Splines which are alot of fun. I used T-Splines for parts of the body but there´s so much more to learn! Consider this a “pre-release” as there´s still lot´s to do. Please report any errors or mistakes you may find. You will notice files will initially only be available on Pinshape and only STL´s. As soon as i have worked out some small details remaining STEP file and more sites will follow. 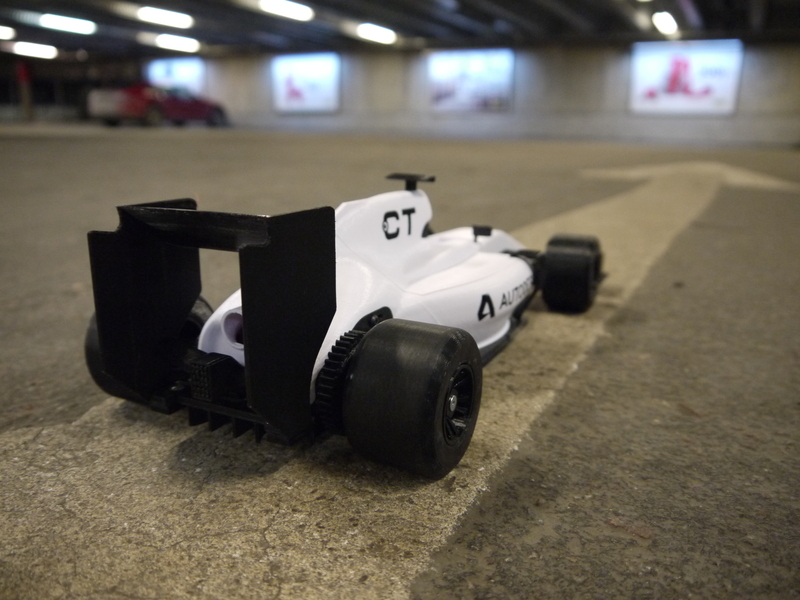 I´m very proud of this project and happy with the result, i´ve already had lot´s of fun with this car. BOM file and more info available on Pinshape. Happy Printing! All files available over at Pinshape.